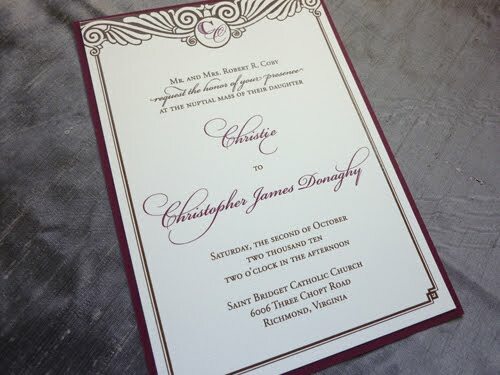 Everything was printed thermography in a custom deep red and chocolate brown. The invitation and rsvp cards had a deep red linen card stock backing. 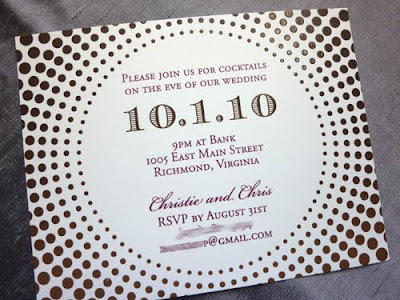 We even used the design on her outer invitation envelope, a touch I absolutely love! 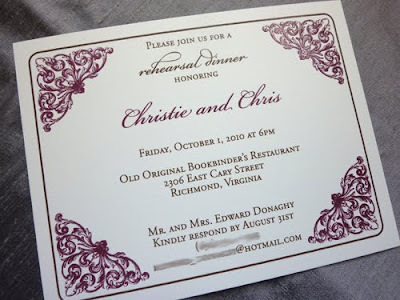 Later this week I'll share with you their programs, place cards and rehearsal dinner menu! What company or vendor did the invites? 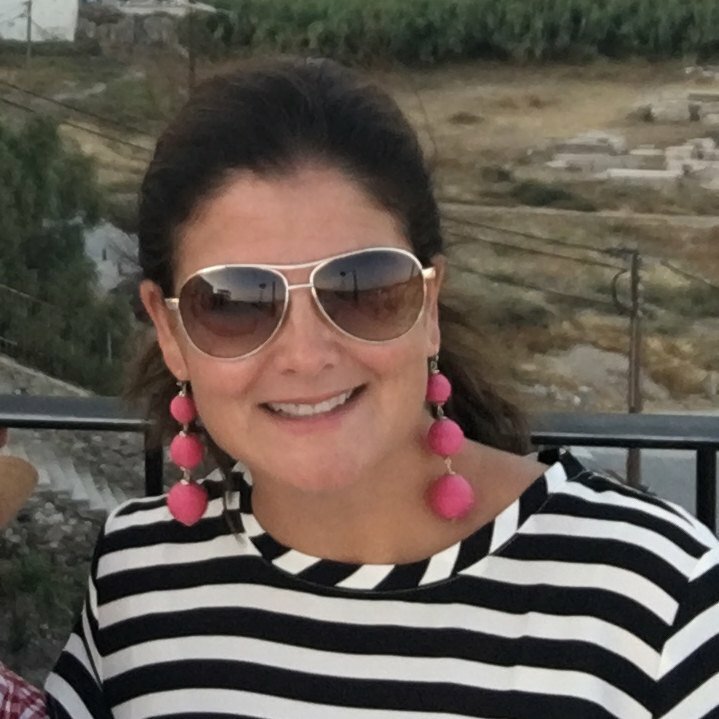 They are just what I am looking for for a cleint! They are designed and printed by us, Blush Paperie. 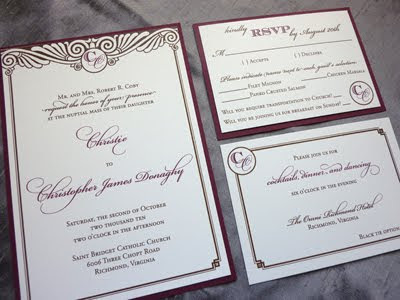 Hello, I saw your invites and was curious if colors could be changed and what the pricing would be for 150$? can the colors be changed. whats the price for 150? They are completely customizable. You can change font, colors and wording at no additional cost. 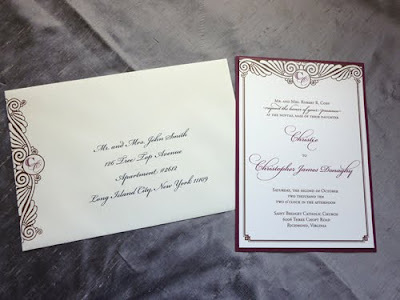 The invite is here on our site: http://www.blushpaperie.com/item/Art-Deco/444/c46 and if you click on view pricing/place order, you'll be able to get a quote for your specific needs.